Written and Illustrated by Dave Roman. Hakata Soy’s past as the leader of a futuristic superhero team is catching up with him, just as he’s making a fresh start at a new school. How can Hakata study for his classes in anti-gravity gymnastics, fireball throwing, and wearing cute hats when he’s got a robot doppelganger on its way to kill him? 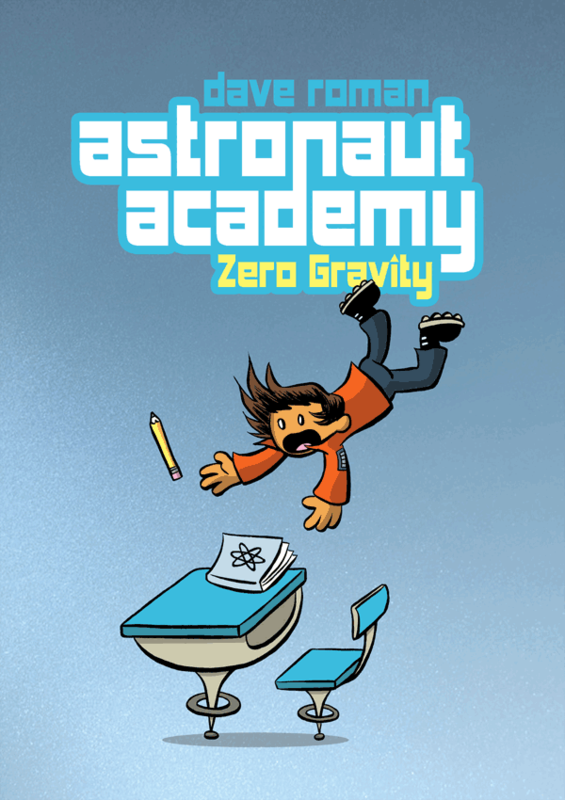 Read A Preview of Astronaut Academy: Zero Gravity! 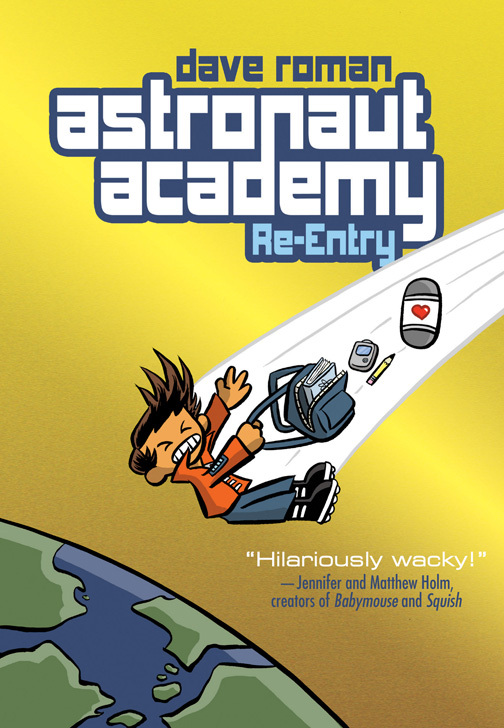 The wild and wacky world of Astronaut Academy is back! It’s spring semester at this futuristic institution of learning, and Hakata Soy has lost his heart. Literally. And he’s not the only one . . . something is stalking the halls of Astronaut Academy, impersonating the crush-objects of students and making off with their extra hearts! 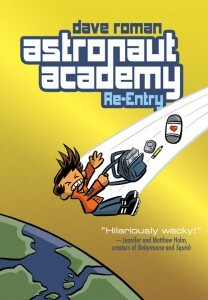 Read a Preview of Astronaut Academy: Re-Entry! 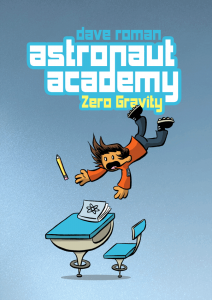 Will there be a third Astronaut Academy book? The future is still unwritten. If word of mouth spreads and there’s enough demand for more Astronaut Academy, you never know! In the meantime, let the world know you are fan by posting reviews on websites like Amazon and Goodreads. And check out my latest comic, Starbunny, Inc.